This article gives an answer to the important question whether there is a connection between caffeine and hemorrhoids flare up. Some health tips are given that can help you mitigate the negative impact of the excessive consumption of caffeine. Another set of tips will help you drastically reduce the caffeine intake. Caffeine and hemorrhoids are two incompatible things. The main adverse action of caffeine is its diuretic action. This means that consumption of beverages and foods rich in caffeine causes dehydration of your body. This in turn leads to constipation. As you know the constipation is commonly cited in medical studies as the main source for hemorrhoids development. It makes your stools hard and dry. These hard stools irritate and scratch your hemorrhoids during evacuation and may cause hemorrhoids flare up as well. What is more, you may develop an annal fissure from these type of stools. In addition, the straining during bowel movement makes worse your hemorrhoids condition, because it also increases the blood flow to already congested hemorrhoids. It is advisable to increase your liquid intake up to 8 glasses of water or other non-caffeine liquids in order to compensate the dehydration caused by caffeine. A word of caution: please don’t replace caffeine with beer or other low alcoholic beverages. The second negative impact of caffeine on your piles is related to its ability to increase the blood flow in your hemorrhoids. It is known that the hemroids are congested veins in your ano rectal region. Therefore, caffeine additionally increases this congestion and complicates your condition. and decaf coffee as well. post caffeine crashes-caffeine boosts your mental and physical energy for short period of time, however it reduces this energy fast after that as well. 1. Regulate the level of glucose in your blood by switching from 2-3 meals daily to 4-5. By doing so you will maintain relatively constant levels of glucose all day long without regular spikes after your breakfast, lunch or dinner. These spikes make you feel sleepy and tired. 2. Eat low glycemic index foods (whole grains, vegetables, fruits) before going to bad in the evenings. By doing so you will not have a problem with waking up and the laziness you feel in the morning. 3. Fight with midafternoon drowsiness by boosting your low level of glucose during this time by eating fruits instead of taking refreshing cup of coffee or coke. Your body processes fruits faster than any other food. 4. Drink 8 glasses of non-caffeine liquid every day and reduce the consumption of meat in your diet while increasing food rich in fiber. In conclusion: Hemorrhoids and caffeine cannot co-exist together. By drastically reducing caffeine intake you will not only make better your hemorrhoids condition, but also will improve your overall health. 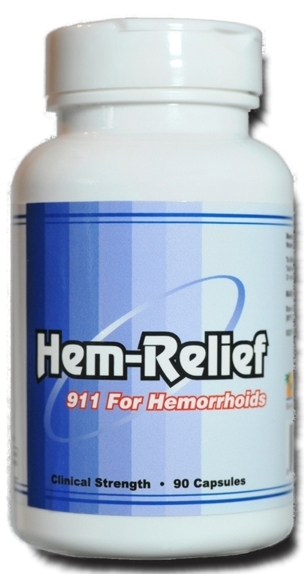 You can find here a comparative review about the best hemorrhoids treatment that can heal your hemorrhoids fast.